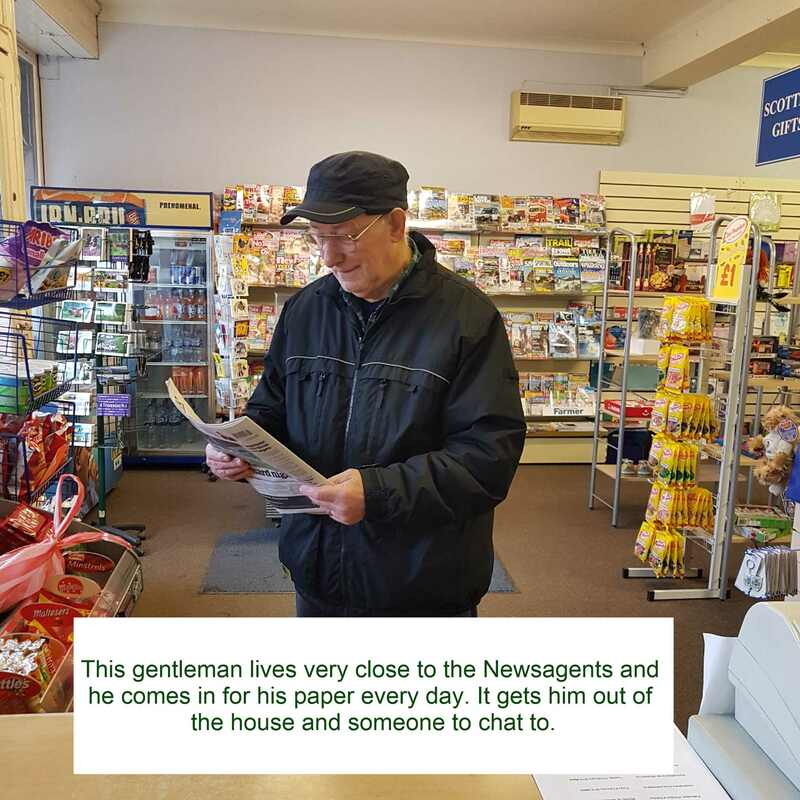 We want to buy the local newsagents, lease the property to a social enterprise to run the Post Office, newsagents, sign post and host CAB. If we raise more money than the stretch target, we will use it towards employing a shop manager. To keep the heart of Killin beating in a new Community Hub, by bringing together services and maintaining vital facilities, currently under threat. Killin is a remote, rural community on the edge of everywhere (so it seems!). 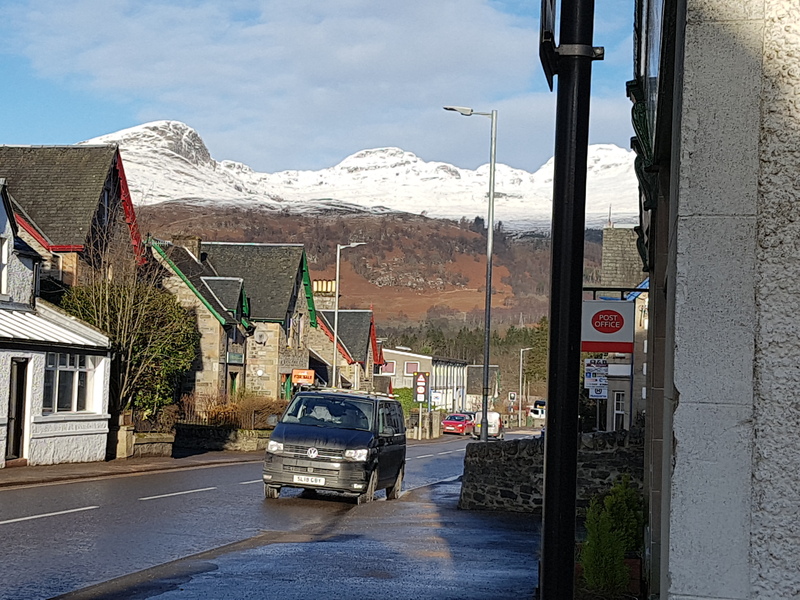 - We are within Stirling Council area, but on the border of Perth & Kinross and just within the Loch Lomond & Trossachs National Park boundary. - Our nearest city (Stirling) is an hour's drive, nearest town (Callander) is half an hour away. - We have a limited bus service. 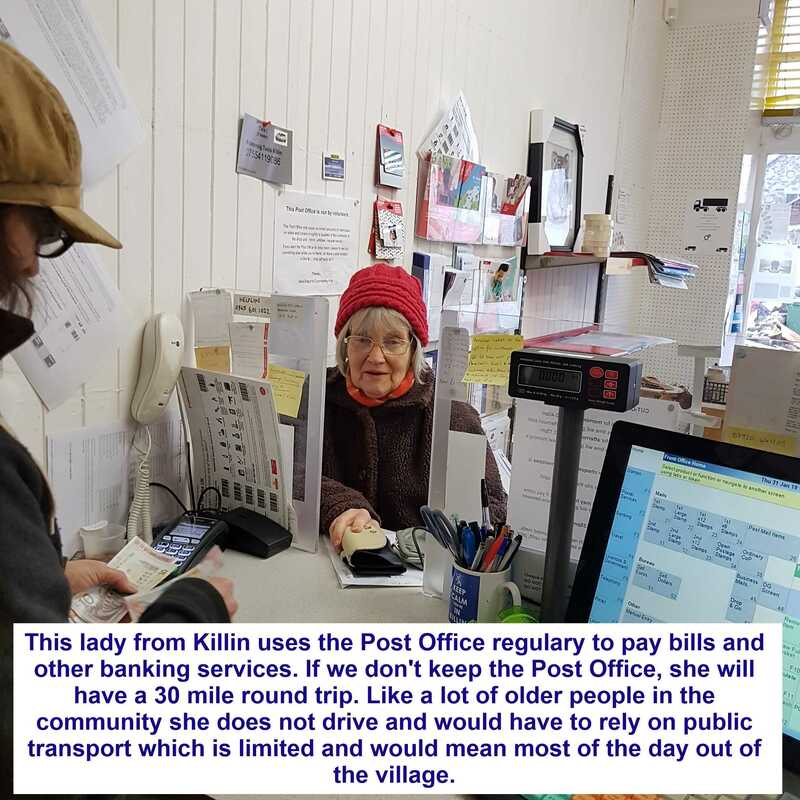 The Post Office provides many essential services, not least banking facilities, used by many local businesses. If we were to lose our Post Office our nearest one is 15 miles away, only accessible by car. The Paper Shop sells papers, magazines and stationery, but also fishing permits and tackle. It also acts as the ticket office for many local events and holds the community diary. 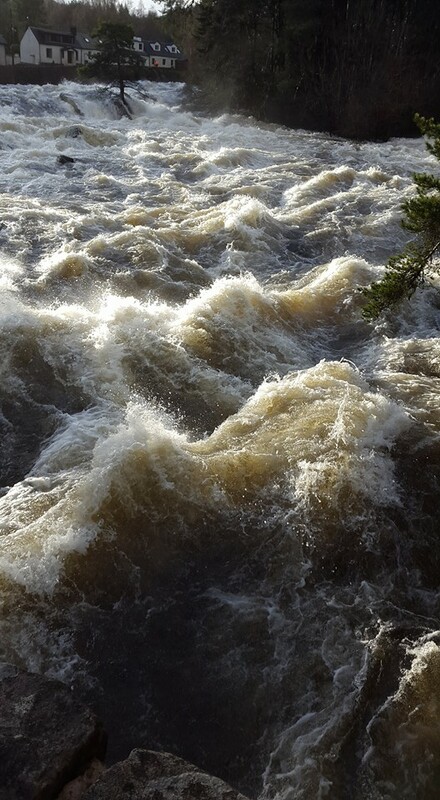 The bus service only goes south to Callander and Stirling. No service on Sundays and no way of travelling East or West to other conurbations. The Citizen Advice Bureau (CAB) runs an outreach service weekly, hosted by the Post Office. 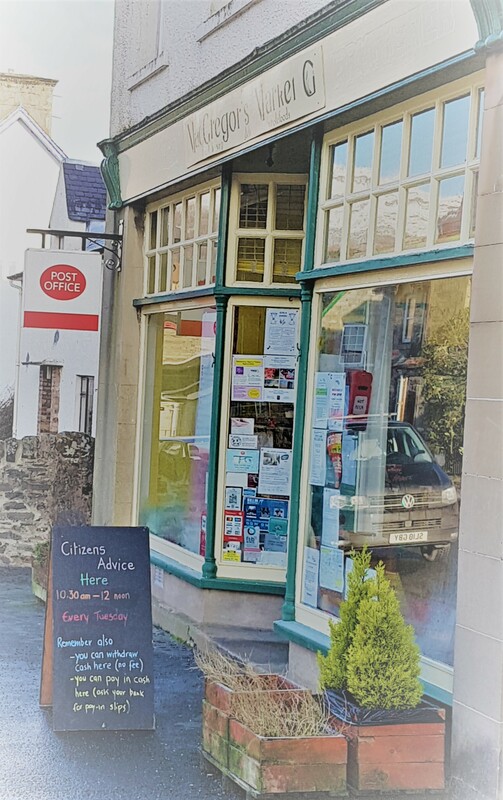 People who used to have access to info and advice, personal and practical support and a full range of health and social services are now much more isolated in the village and need a 1-stop-shop Hub point where they can get the help they need, or advice on how to get this help. Killin and Ardeonaig Trust (KAT) was established in 2007, with an aim that includes acquiring and managing assets, improving the environment, supporting education, leisure facilities, local business development and maintaining structures of historical significance for the benefit of the community. KAT has a max 12 directors and anyone resident in the Killin postcode area is entitled to be a member. 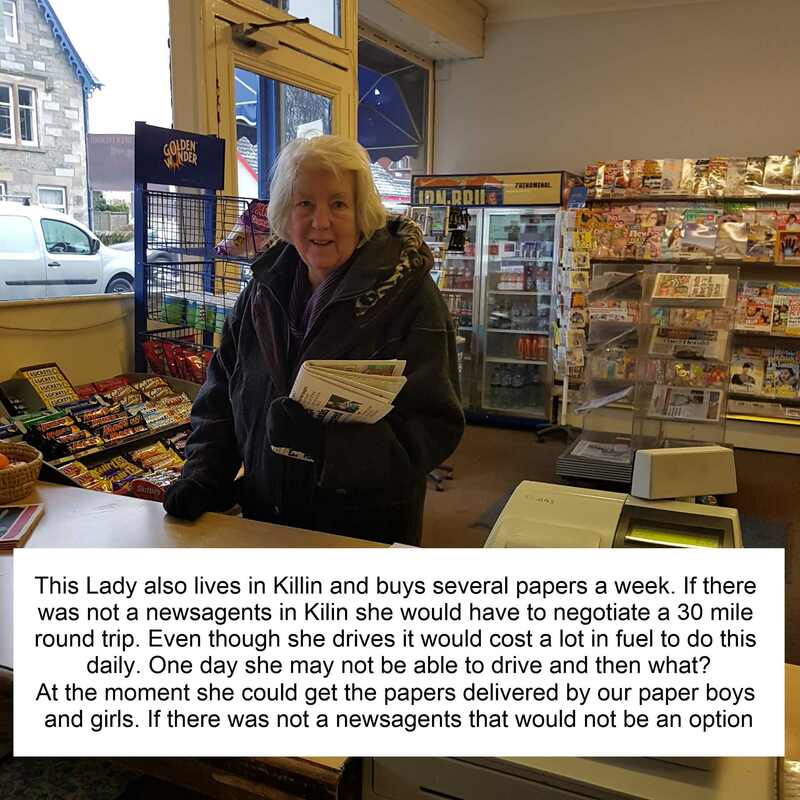 KAT are purchasing the Paper Shop and will lease it to MacGregor's Community Hub, who run the Post Office. MacGregor's will continue to run the Post Office, Paper Shop, sell fishing permits, maintain the community diary and provide space and support for the Community Hub, which will also host the CAB. KAT have raised the funds for the shop purchase from the Scottish Community Land Fund and from Stirling Council. KAT still need to raise the money to pay the Paper Shop owners for the value of their business and good will. We have raised some money through local fundraising. 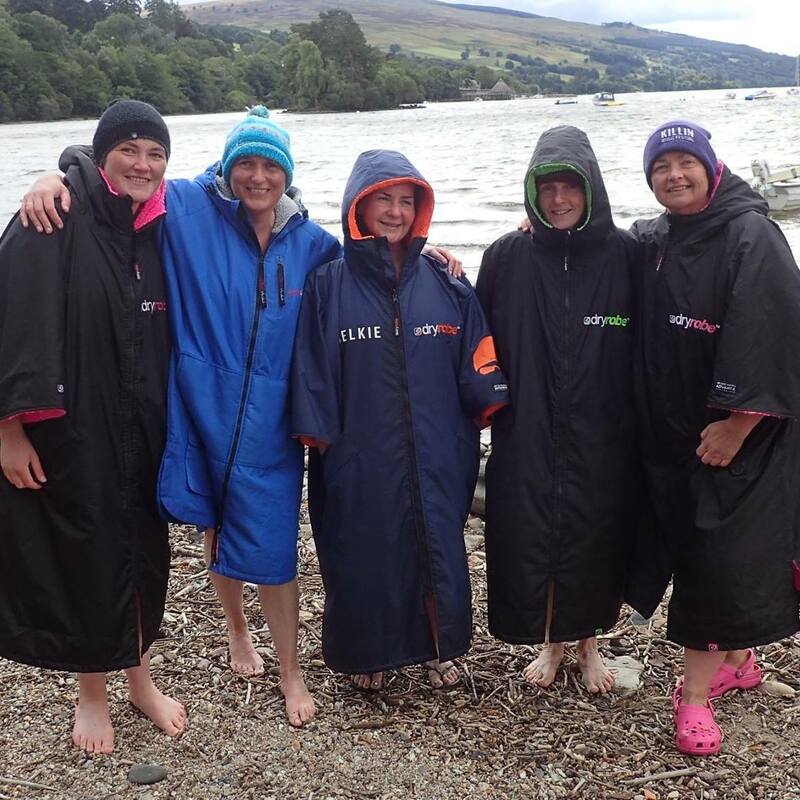 The Loch Tay Open Water Swimming Group raised £1206.00 through a relay swim of the length of Loch Tay for this project. You will receive a tote bag with a design on it on it from a local artist. We will be holding a competition with the children of Killin Primary School to find the best design for our bags. Your name will be added to our donation board to say thank you. We will have a board with the names of everyone who has brought this reward to say thank you. This reward has been donated by Taymouth Marina, Kenmore and entitles 1 person to use their Hot Box Sauna. For more information on the Hot Box you can go onto their website; https://www.taymouthmarina.com/the-hot-box-sauna/ Your name will be added to our donation board to say thank you. Spend a day at the Crannog centre in Kenmore. A family pass is worth £20 for 2 Person Pass. This pass has been kindly donated to us, if you wish to find out more about the Crannog Centre please visit their website: http://www.crannog.co.uk Your name will be added to our donation board. Spend a day at the Crannog centre in Kenmore. A family pass is worth £32 for 2 adults and 2 children.  This pass has been kindly donated to us, if you wish to find out more about the Crannog Centre please visit their website: http://www.crannog.co.uk Your name will be added to our donation board. You will be able to receive 1 free newspaper per day for 1 week, excludes magazines. Your name will also be added to our donation board as a thank you for donating. You will get 4 free 1 scope ice cream from MacGregor's/Newsagents. You can have any flavour you like that is available. Your name will be added to our donation board to say thank you. You will have a meal for 2 at the Ben Lawers Hotel, exclude drinks, on the banks of Loch Tay. For more information on the Hotel you can visit their website on https://www.benlawershotel.co.uk/ Your name will be added to our donations board to say think you. This is a one night stay at The Bothy at West Cottage and The Stables in Glen Lyon, Perthshire. 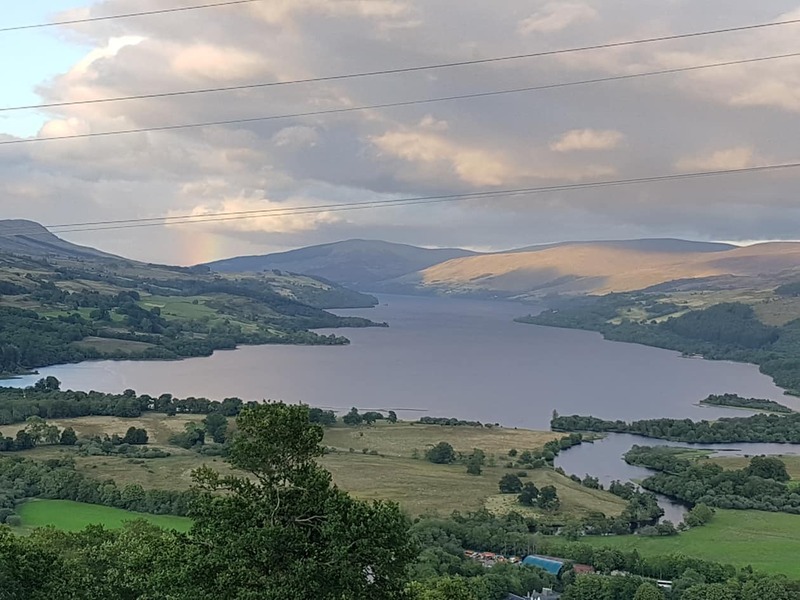 please refer to their website for more information on the site: https://www.westcottageglenlyon.com Your name will be added to our donations board to say thank you. Any business requiring advertising space in our window. We will provide businesses with up to 6 months free advertising space of up to 21 x 30cms. Your name will be added to our donation board to say thank you. If you wish to remain anonymous please get in touch. You will receive an invite to our shop opening and include your name on our donation board. We would like to issue you a big thank you on our Facebook page. If you wish to remain anonymous please let me know.